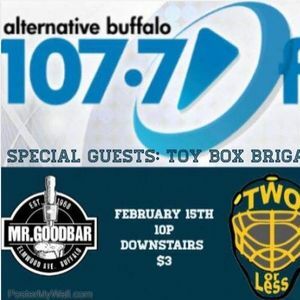 Two or Less will headline 107.7fm Alternative Buffalo 's Localized show at Mr. Goodbar on February 15th. Come rock out with the Two or Less and the Alt Buffalo crew! The boys will be joining Lexi and Localized on Feb 10th at 8:00pm to perform in studio and to talk about the show on Feb 15th. Make sure you tune in!